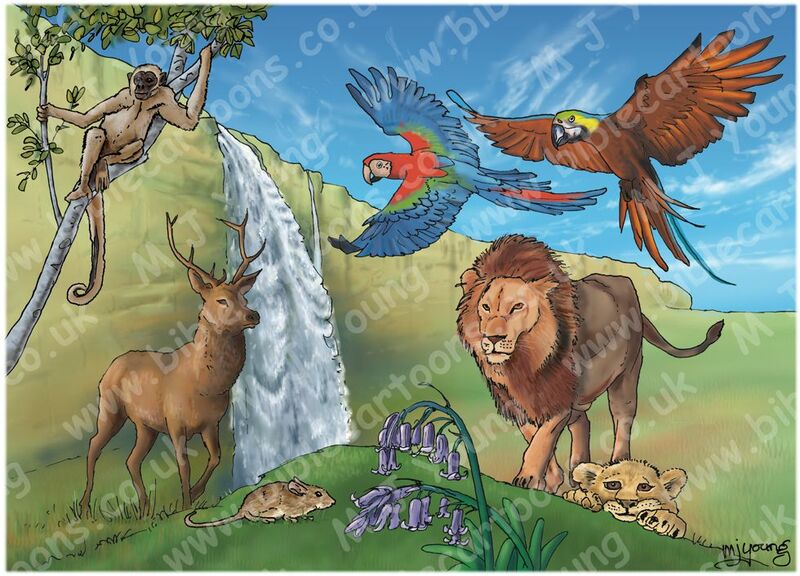 This scene depicts Excellence in the form of God’s creation in Genesis chapter 1. 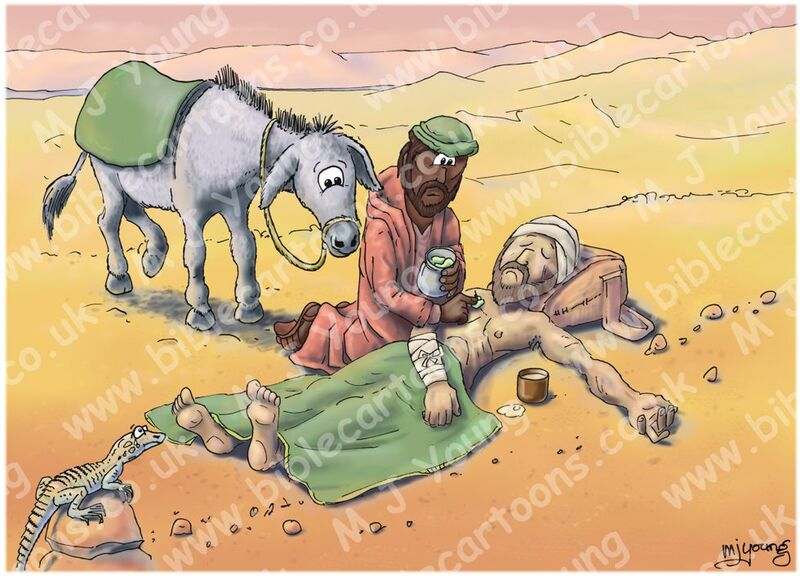 This scene depicts Respect, based on the story of the Good Samaritan in Luke chapter 10. This scene depicts Aspiration, namely David’s to defeat Goliath! Luke 19 – Zacchaeus the tax collector – Scene 04a – Who, me?! This scene depicts Inclusion, based on the story Jesus’ meeting with Zacchaeus in Luke chapter 19. 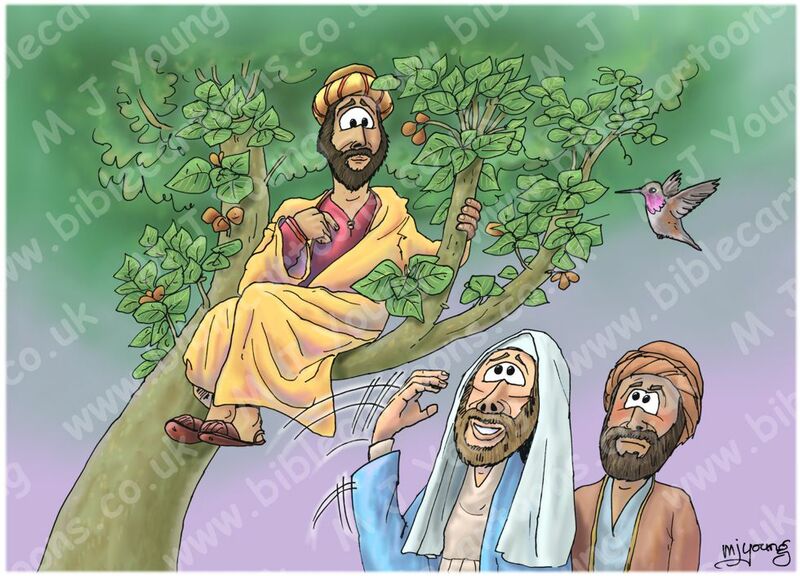 Bible Cartoon: Luke 19 – Zacchaeus the tax collector – Scene 04a – Who, me?! I have completed 4 pieces of artwork (last week) which will form a large design for my wife’s school. The 4 Bible stories illustrate the schools’ values: Excellence, Respect, Aspiration & Inclusion. 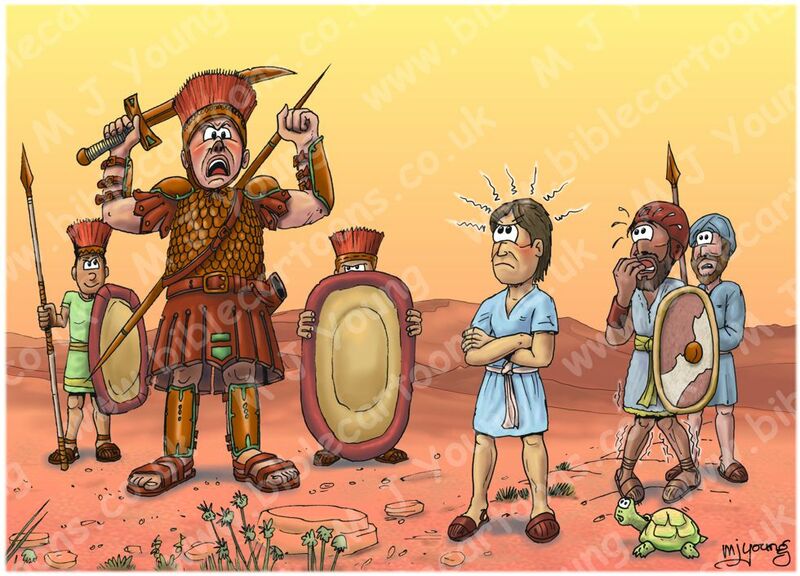 The canvases are based on well known stories from the Bible. I’ve had to work larger than I normally do in Corel PhotoPaint, as each canvas is A2 size (594 × 420 mm or 16.54 × 23.39 inches). I normally draw & colour at A4 (297 × 210 mm or 8.27 × 11.69 inches.) That put a load on my computer… I had to shut down any other programs I had running alongside PhotoPaint, just in case it crashed! I managed to get the artwork finished with few issues though.